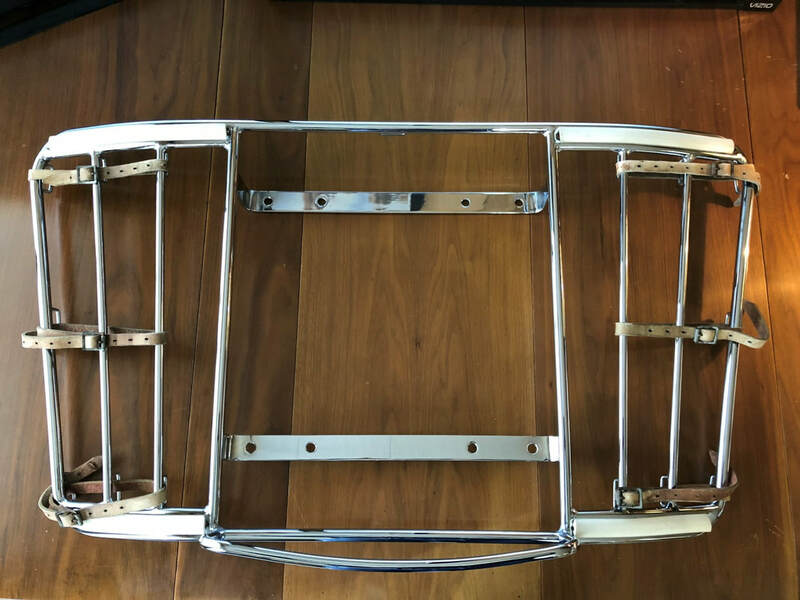 I am fortunate to own a very nice, original chrome Lietz luggage rack. Several photos of it can be found in the Accessories Section. This blog post is about the leather straps that are used on the Lietz style luggage racks. 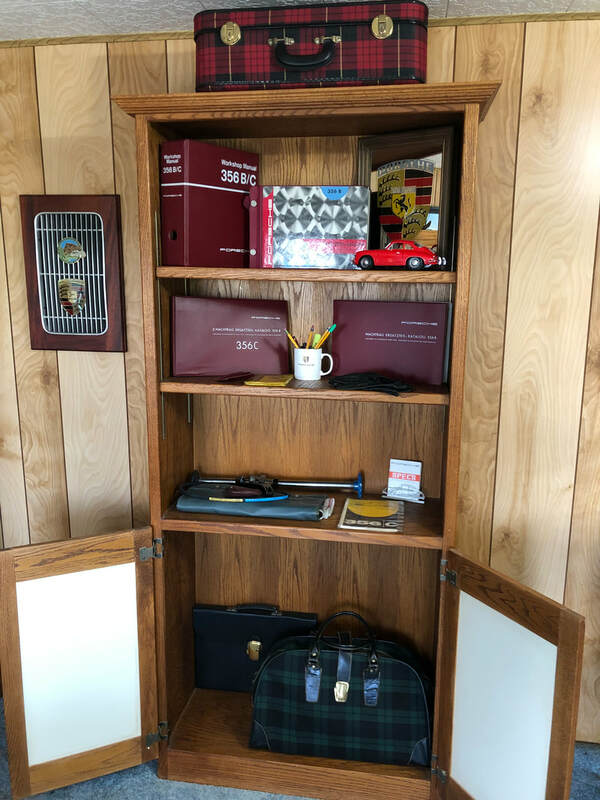 During the 356 T6 time period, two different racks were available, Reutter and Lietz- and this posting is only about Lietz racks and original luggage straps. There are LOTS of reproduction straps out there, and some are pretty darn good. In fact, the new reproduction ones are a little thicker and therefore stronger than the originals were, even when new. However, if originality is your thing, this post shows you a complete, original, set of the correct straps. Notice in the details the fake stitching along the full length of the sides. Also noteworthy is the white powered like appearance of the back side of the leather. I'm posting the lengths of the straps in the set as well. 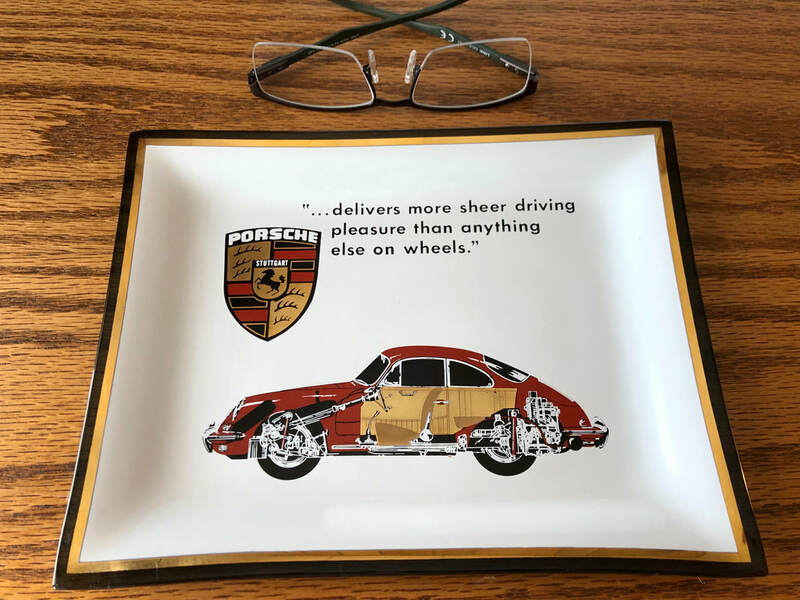 I recently bought this tray and now that it is here I am so glad I did! 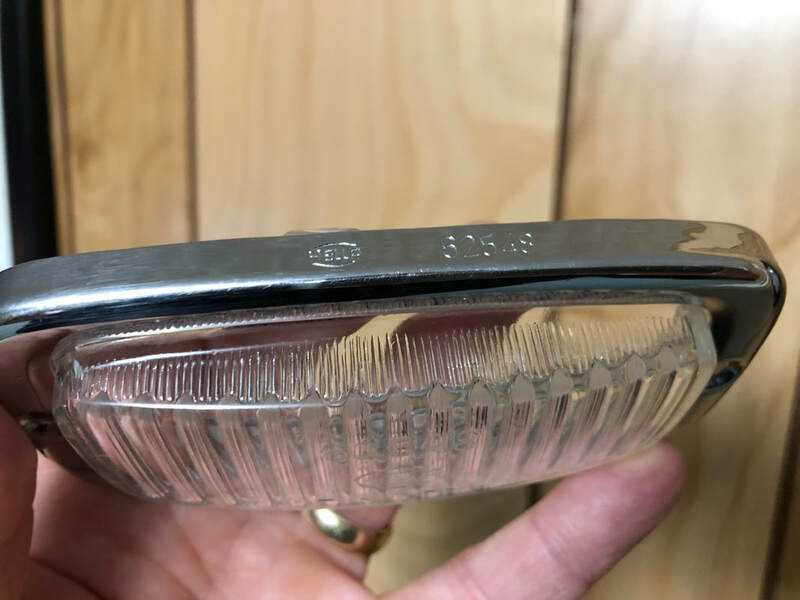 It is a candy dish and they are somewhat rare. 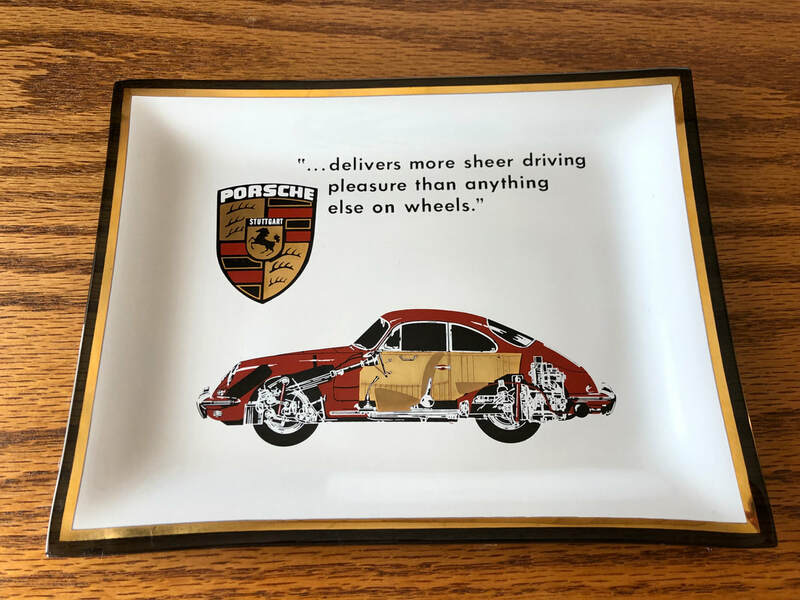 PORSCHE supplied these to dealers and so there were at one time quite a few, but time has taken it's toll on some of them. This one, dare I say it,,, is perfect. Including one close up shot and one further back showing a pair of glasses so the size of the tray can be understood. 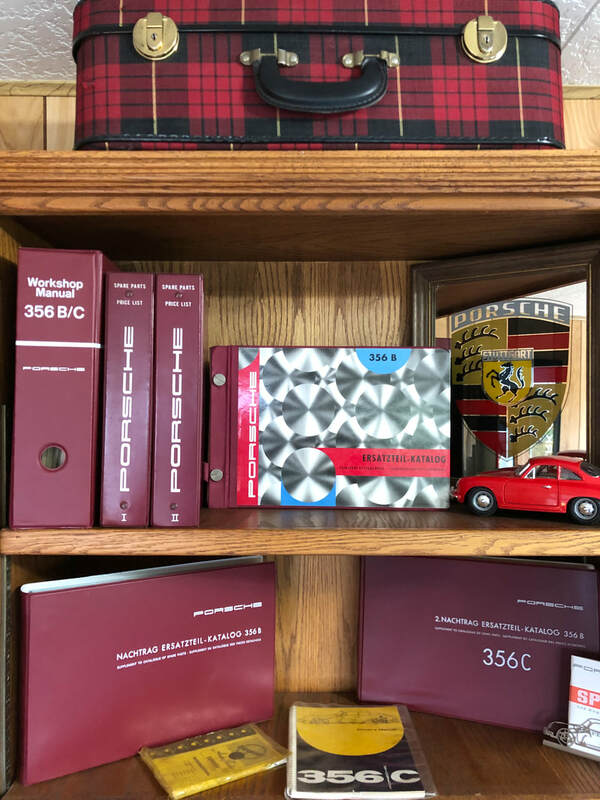 My first Porsche was a '62 B coupe that I bought as a single young man more than 40 years ago. I did not even know there was a new thing called the 356 Registry at the time. I just wanted a cool car, and the Porsche was all of that. Could have cared less about originality or "correct" parts in the tool kit. P-O-R-S-C-H-E script is right in the casting. Now the wrenches are rare and sought after by collectors. 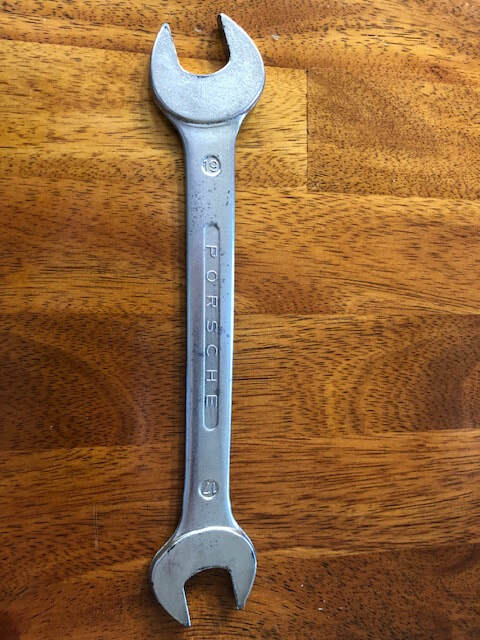 ​Below is a photo of the only one of these wrenches I have. Guess I need to sell it . I'll put it on the 356 Registry Classifieds and see how it goes. Many of you think that NOS is an acronym for New Old Stock. Perhaps it does, but sometimes for me is means Unable To Resist! I already had a very nice Factory Issue 356 B Spare Parts Catalog, then I saw this one that is pure NOS. Sometimes NOS does not mean it is in good condition, but in this case, it is really really great condition. Part of what happens to these B catalogs is the maroon paper on at the binding end fads, tears or in other ways becomes cosmetically poor. I think this book was kept in a box, away from damaging light. Even the front cover is much brighter than others I have seen. Want to know how much a 356 part cost "back in the day". 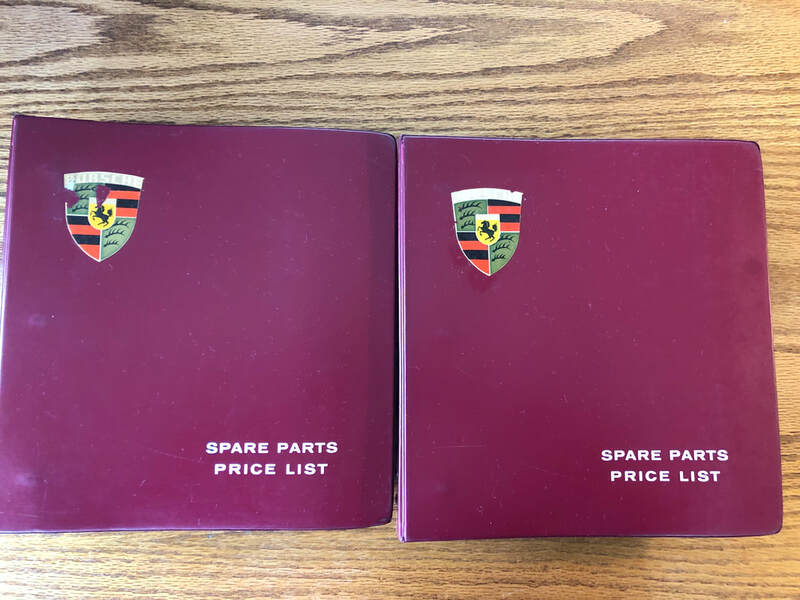 Porsche published books that had the spare parts prices and these books were at each dealership. Prices show ALL parts that were available and the price for the customer and the dealer price. The two books shown below are now added to my collection. All pages intact! I have no history on this umbrella, but it just struck me as a fun item to take along in the car. It has lots of wear on the wood handle and some signs of being tossed about like we all do when getting into a car. Anyway, no claims this came from the factory, but it certainly could have. There is a very small tag on the inside that reads "Hugendubel Co mbH Stuttgart". 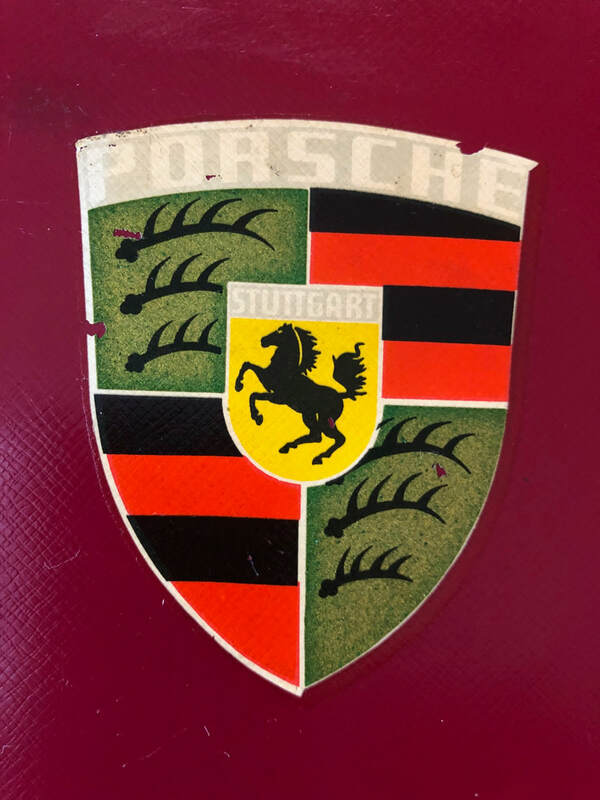 If anyone reading this knows more about Hugendubel or PORSCHE umbrellas, please contact me. I just added some very desirable items to my Classifieds Section. Check it out! Got my Hella reverse light bezel and glass all cleaned up. There are a lot of variations on the lens markings and bezels. Bosch even made some of these in the exact same shape, but Bosch was not the supplier of reverse lights to PORSCHE- it was Hella. The 62548 markings should be as shown below. Also, there are some lens out there with more markings on the lens. The additional markings were because of code requirements in later years. During the 356 era, there were no such markings. 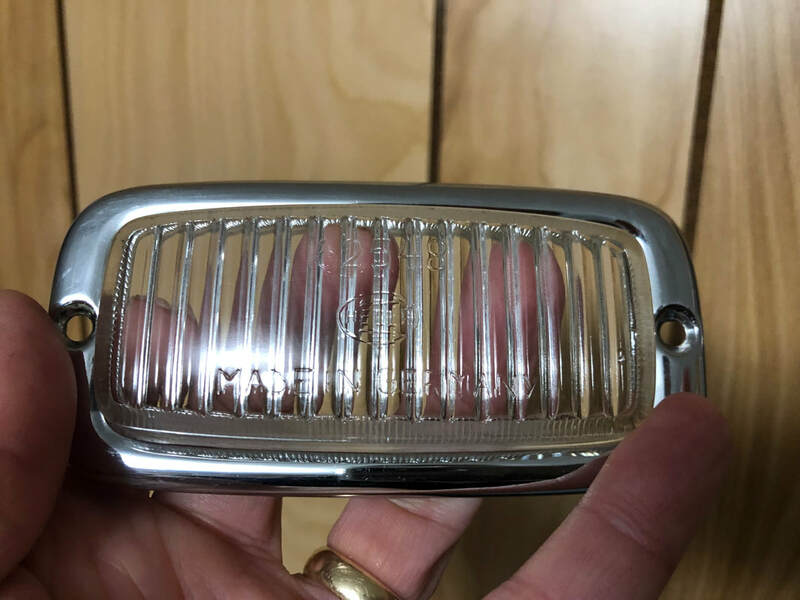 You will see 356 cars with the reverse light lens having these additional markings but the lens likely came off a Volkswagen or BMW. Use of this shape lens was used in those cars after during and after 356 production. does anyone really need an elfrink? 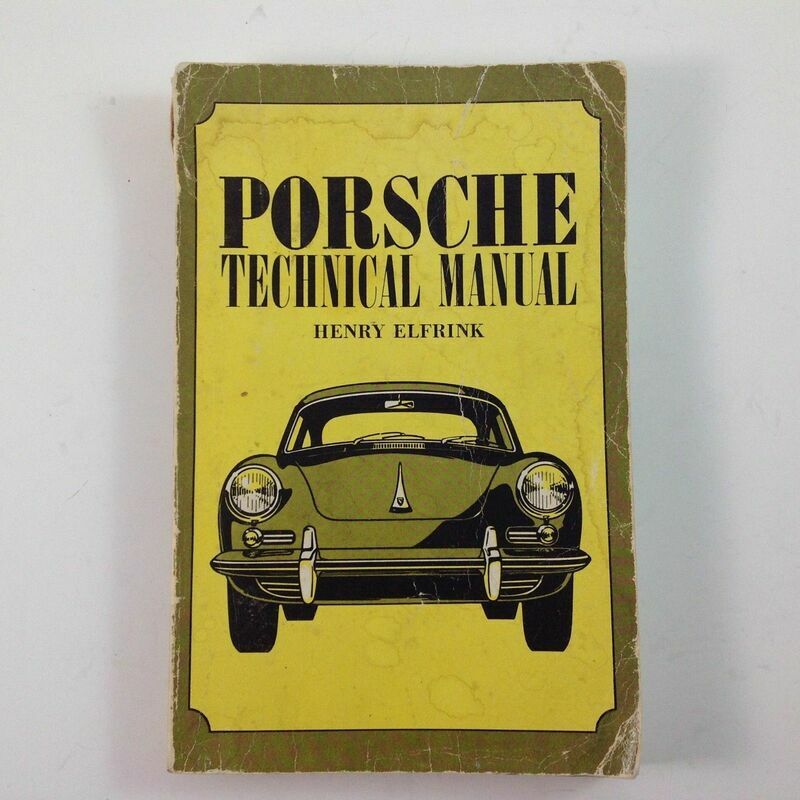 Seriously, an Elfrink manual used to be one of the staples of 356 ownership. 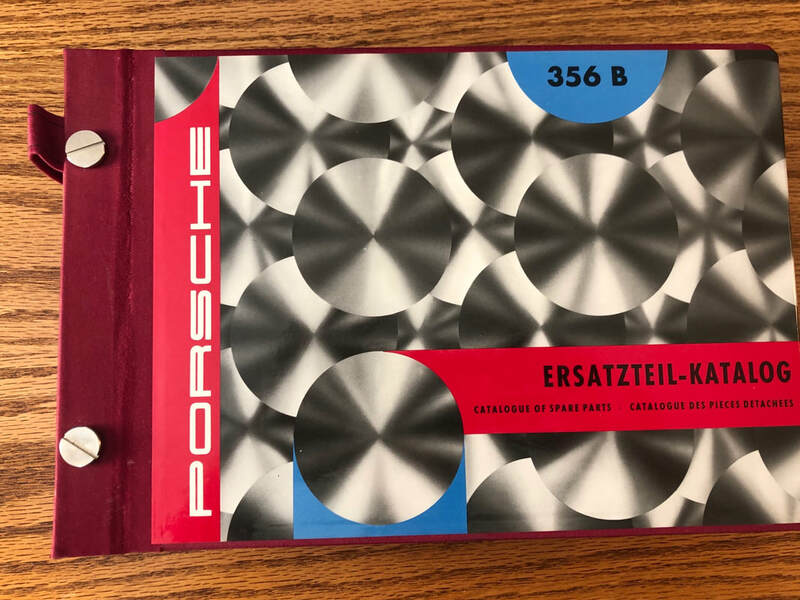 It was an early publication on the basics of 356 ownership and repair. Emphasis on the basics. I used to have one, but sold it off with the last car. 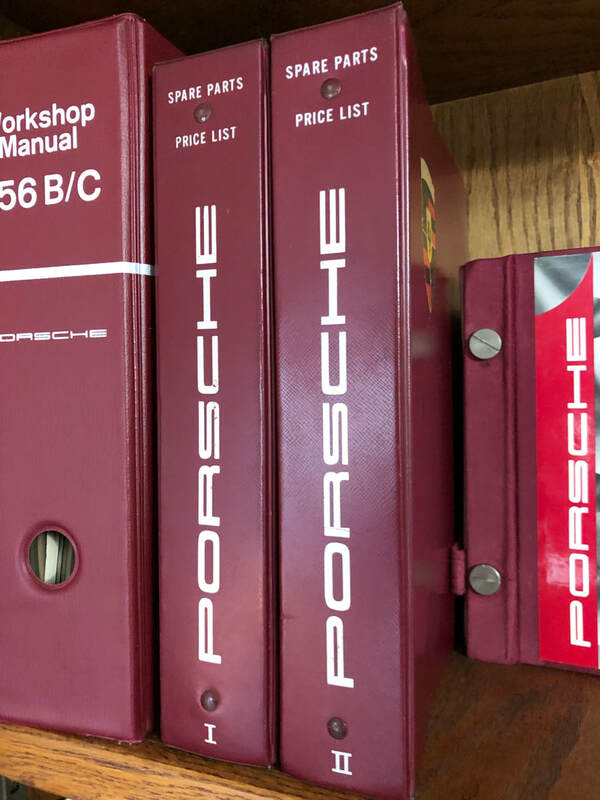 I've worked probably harder than most on collecting excellent condition original PORSCHE factory Parts Manuals and Workshop Manuals- amongst other publications. So, I was asking myself, do I, or really does anyone really need an Elfrink book anymore? We have the 356 Registry website with lots of friendly help. There are versions of the parts books on line, and all of it in greater detail than the old standard Elfrink. I've noticed the prices of these old books are now below $20, so honestly, cost is not an issue, but why buy one? 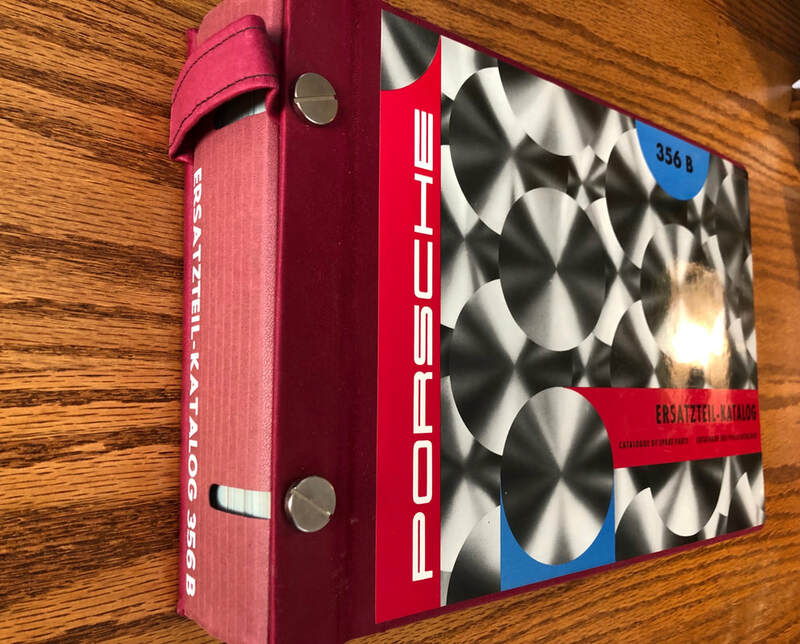 My conclusion is that after decades of 356 ownership, probably I would never look in the book. However, if a new owner who is not well rehearsed in the little things that can go wrong with a 356, well then maybe, just maybe putting one down in the battery box as a "just in case" protection. It no longer even deserves a spot in our glove box. Below are the real books to own! More photos in the Documents Section. 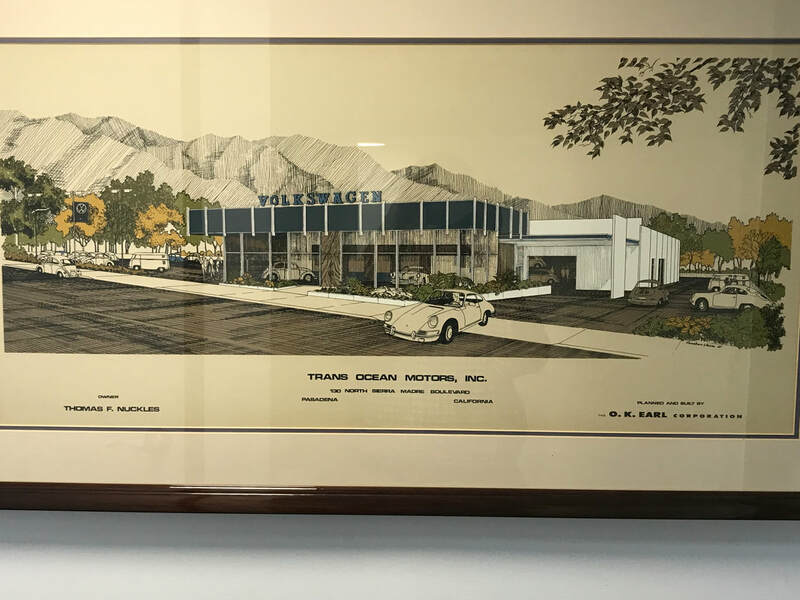 Rich Wilson, owner of Volkswagen of Pasadena was kind enough to take a photo of a large framed print he has of Trans Ocean Motor Company- the name of Volkswagen of Pasadena prior to a rather recent name change. This print was the architect's drawing for the "new" building when they moved in the 1960's to their current location. THANK YOU RICH! This is the dealership that sold my car!!! For more info on Trans Ocean, click here.